Training tomorrow's sports stars today! This term, LIPA Primary School have developed a partnership with the City of Liverpool College's PE Faculty. 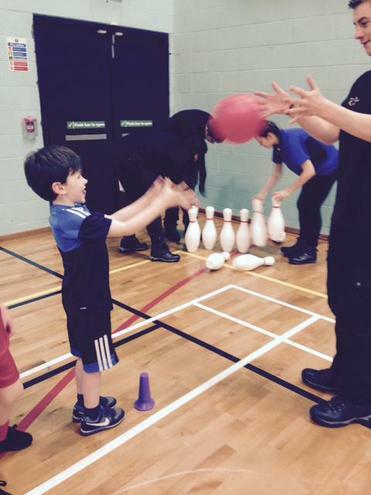 Our Year 1 children visit on Wednesdays after school for a multi-skills PE session. The children are supervised by Year 1 teacher Mr Van Saarloos and Headteacher Greg Parker, and the sessions are over seen by Course Leader Stephanie Crane from the City of Liverpool College. The sessions themselves are led by different groups of students gaining experience for a range of future careers – so far this term, the children have received training from sports coaches, students training for the public services and a national Tae-Kwan-Do champion.